Joachim Lafosse brings to the screen the Zoe’s Ark controversy which made headlines in 2007: a story about the limits of the right of interference. Jacques Arnault, head of Sud Secours NGO, is planning a high impact operation: he and his team are going to exfiltrate 300 orphans victims of Chadian civil war and bring them to French adoption applicants. Françoise Dubois, a journalist, is invited to come along with them and handle the media coverage for this operation. Completely immersed in the brutal reality of a country at war, the NGO members start losing their convictions and are faced with the limits of humanitarian intervention. 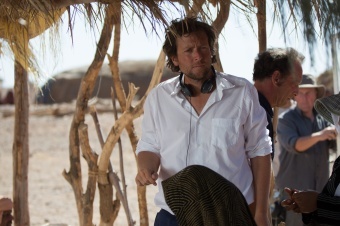 Renowned contemporary film director, Joaquim Lafosse (Belgium, 1975) has seen his work recognised with numerous awards. Among others, he has helmed Neu propriété (Private Property, 2006), Élève libre (Private Lessons, 2008) and À perdre la raison (Our Children, 2012) selected for the Un Certain Regard section at the Cannes Film Festival and winner in the Best Film and Best Actress categories of the Magritte Awards.